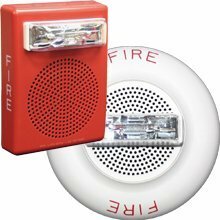 Strobe appliances for visual alerting from Cooper Notification featuring wall or ceiling mount, selectable candela settings and red or white models and colored lens strobes to meet a variety of applications. 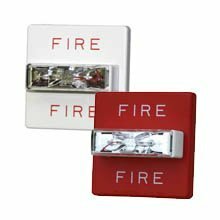 The Wheelock strobes feature a sleek modern design that will please building owners with reduced total cost of ownership. 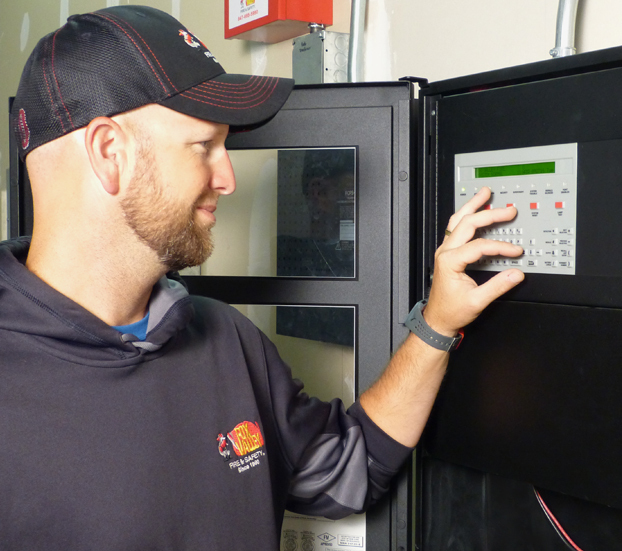 Installers will benefit from its comprehensive feature list, including the most candela options in one appliance, low current draw, 12/24 VDC operation, universal mounting base and multiple mounting options for both new and retrofit construction. 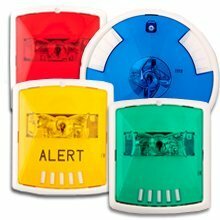 The Wheelock Exceder Series incorporates high reliability and high efficiency optics to minimize current draw allowing for a greater number of appliances on the notification appliance circuit. All strobe models feature an industry first of 8 candela settings on a single appliance. Models with an audible feature 3 sound settings (90, 95, 99 dB). 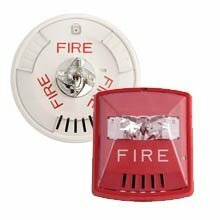 All switches to change settings, can be set without the use of a tool and are located behind the appliance to prevent tampering. Wall models feature voltage test points to take readings with a voltage meter for troubleshooting and AHJ inspection. 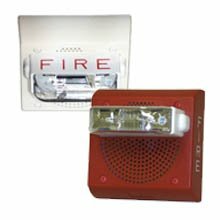 Ideal for Mass Notification Applications, Exceder LED Amber Lens Strobes feature a sleek modern, low profile design for indoor applications. Industry’s first LED strobes in one of the smallest, most compact designs in the world. Cooper Notification’s patented LED technology provides the industry’s lowest current draw. The Exceder Colored Lens Strobes feature a sleek modern design. 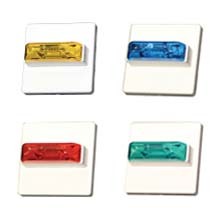 Available in four colors, users will benefit from its comprehensive feature list, including voltage test points, 12/24 VDC operation, 8 candela options and universal mounting base. Strobe Lens Colors: Amber, Blue, Green, Red. All models are available through special order. 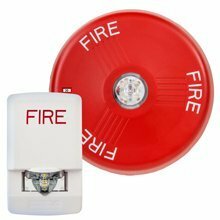 The Exceder feature a sleek modern design. Users will benefit from its comprehensive feature list, including voltage test points, 12/24 VDC operation, 8-candela options and universal mounting base. 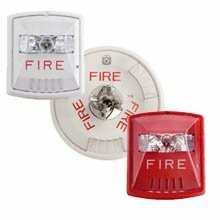 The Series MAX Strobes are designed for high intensity, weather resistant visible warning. 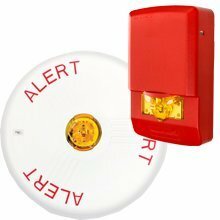 Ideal for stationary or mobile use such as industrial signaling, strobe beacons, area identification and hazard warnings/alerting. 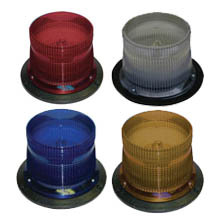 The Series RSS colored lens strobes are designed for effective alerting of employees or personnel in industrial, military or government applications and are available with red, blue, green and amber lenses. 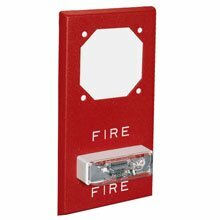 The Series RSS strobes provide a wide range of intensities and mounting options for wall or ceiling applications. 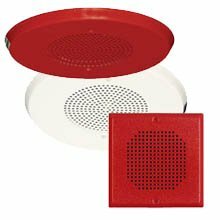 The Series RSSP strobe plates are designed for retroﬁtting existing audible notiﬁcation appliances to strobe applications.